Is 2018 the year to bid farewell to unproductive meetings? For many businesses, the start of a new year provides an opportunity to make some positive changes and get rid of outmoded, inefficient practices. If your firm is looking to make more efficient use of its time in 2018, one of the most productive changes could be to get rid of pointless meetings, with recent research showing just how big an impact they can have. 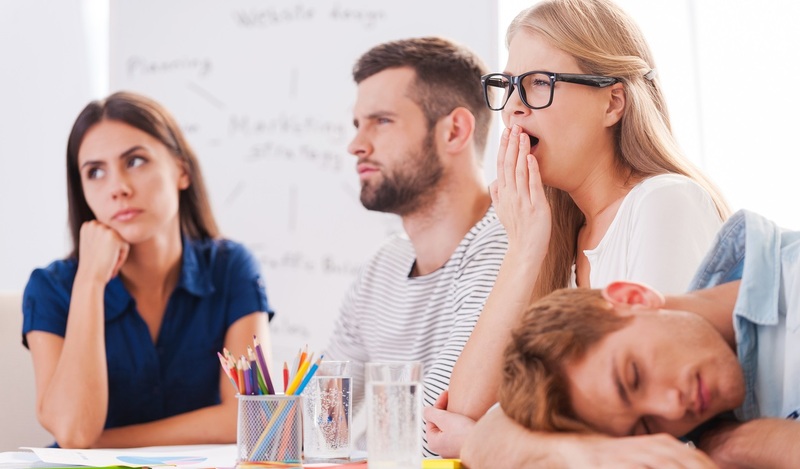 As well as proving frustrating for those involved, unproductive meetings can have a significant impact on a company’s finances, research by STL Microsoft Training has suggested. The average person working for a small to medium-sized enterprise attends 207 meetings every year, just over two-thirds (67 per cent) of which can be deemed unproductive because they don’t achieve the stated goal, the report indicated. With the Harvard Business Review Meeting Cost Calculator showing that employers pay £28 for every hour an employee spends in a meeting, the annual cost of hourly meetings is around £5,796. However, with around two-thirds of meetings seen as pointless, companies are wasting about £3,892 of this overall sum, smallbusiness.co.uk reported. Setting a thorough agenda and being entirely clear about what you hope to achieve in the meeting. Only inviting people who absolutely need to attend, and keeping other interested parties informed with a summary by email or phone call after the meeting. Halving the originally planned meeting time to help everyone to focus and reduce the risk of procrastinating. Starting on time and accepting the fact that people who arrive late will miss what has already been said. Making it clear how staff are expected to behave in the office – If potential distractions such as social media and mobile phones are not permitted, employees must be made aware of this. Deploying new technologies to drive efficiency – Could the right software and tools help people to continue working while they are travelling to out-of-office meetings, for example? Encouraging people to take breaks – Staff who are tired or overworked will not be productive, so encourage people to take regular breaks so they feel refreshed and ready to make the most of their working time. Setting clear goals – Everyone in the business should have a clear picture of what they are expected to achieve, and in what time frame. This will help the entire workforce to focus and pull in the same direction. Ditching old-fashioned practices – As well as unproductive meetings, don’t be afraid to get rid of other traditional methods that aren’t delivering results. By introducing some sort of flexible working, for example, you can give your members of staff more freedom to work in the way that suits them best.